La Monita Taqueria on Ploenchit Road is my family's newfound favorite. 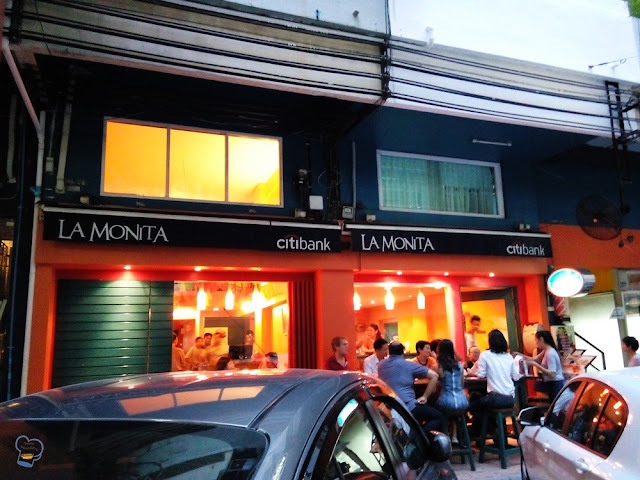 The place not only has a laid back atmosphere but also provides authentic Mexican dining experience. The service is fast and efficient. 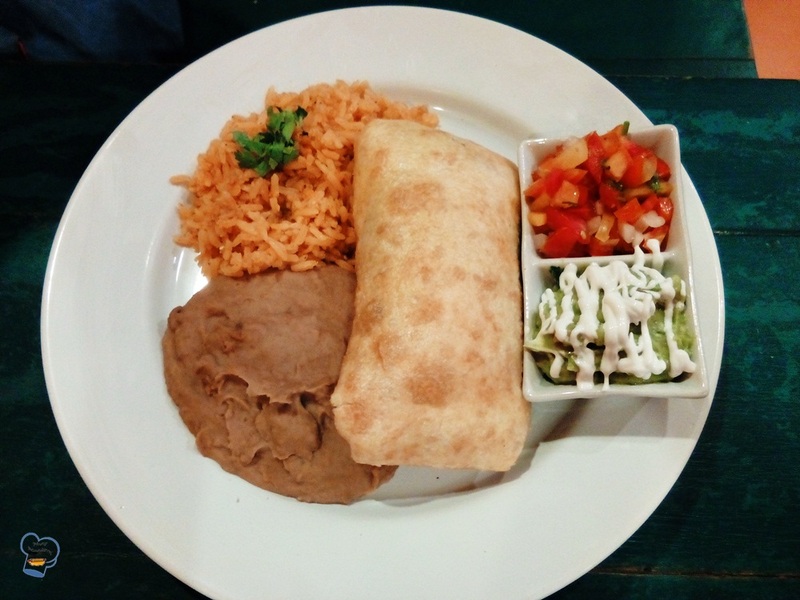 The food are bold and flavorful. My sister and cousin are now regular diners at the Mexican restaurant. Although it's a long way away from home, they love it so much that they frequent the place as often as they can. On my recent visit to Bangkok, they made sure I get the best possible experience not just once but twice! 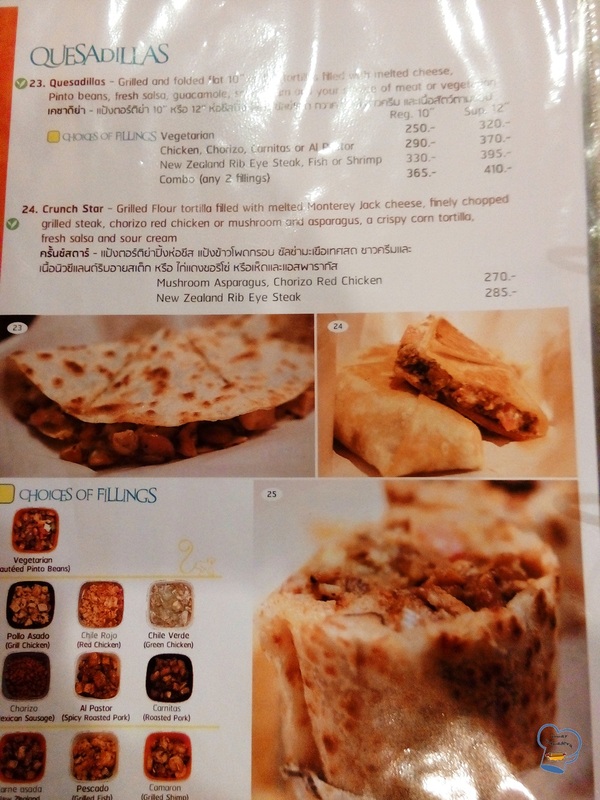 Here's a peek of the menu. Pardon the quality of the picture. I used my phone as I was too lazy to lug my camera around. 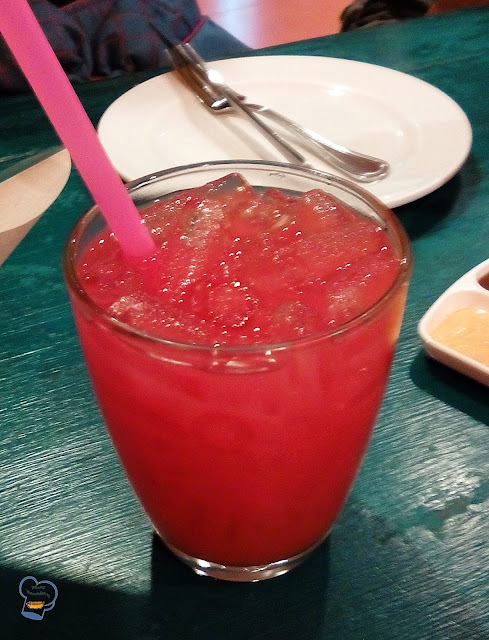 As soon as we were seated, my sister recommended I try watermelon juice. It had a nice refreshing taste, a perfect drink on a hot day! What caught my attention was this self-serve salsa bar. 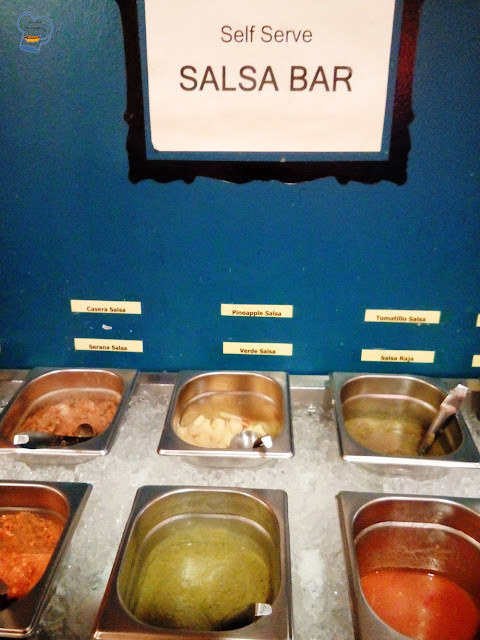 Customers can avail themselves of this all you can eat salsa. Tortilla chips are my favorite. 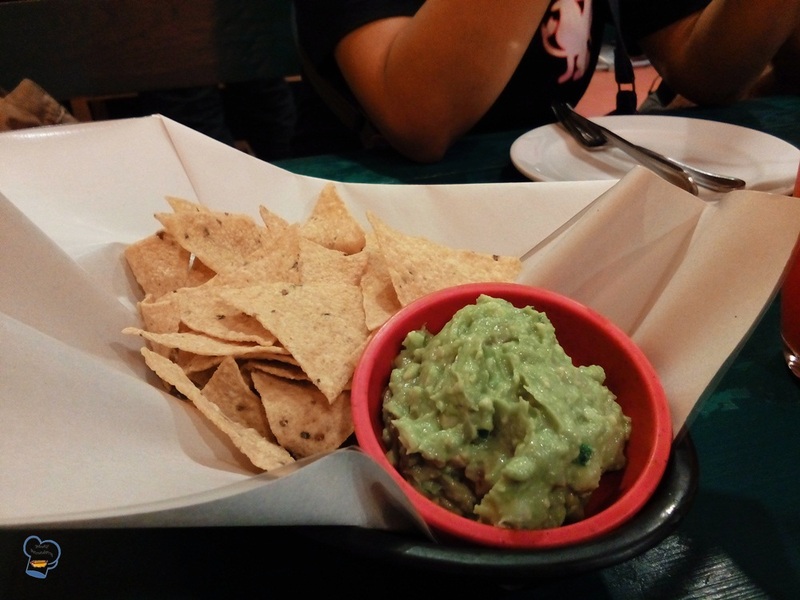 Mine came with a guacamole on the side. I wanted to try something new with them so I took advantage of what they offer. Most were hot. I only tried a little as I didn't want the burning sensation in my tummy. Then I got a surprise when I tried the tamarind salsa. (I never had it before). I was smitten. They were a good match. A friend had tacos stuffed with minced beef, roasted and fresh salsa and topped with onions and cilantro. Just lovely. 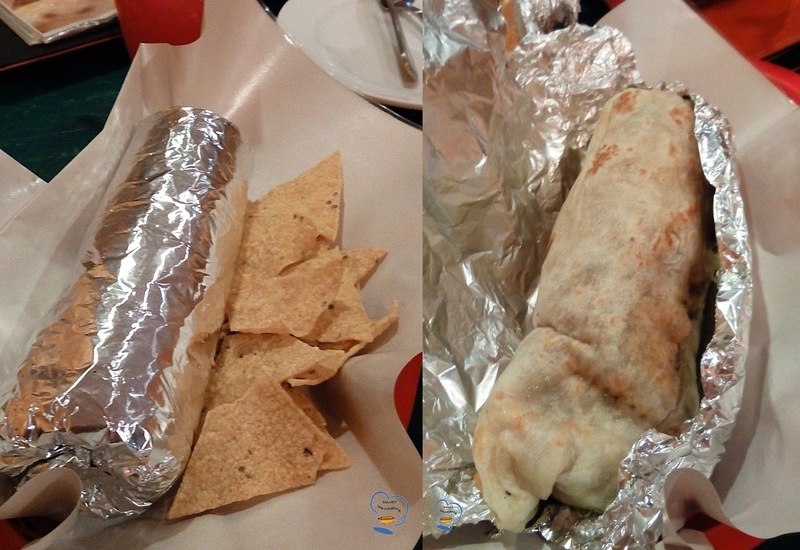 My sister and I shared a huge vegetarian burrito filled with beans, guacamole, sour cream, salsa and melted cheese. Yummers! It also came with tortilla chips on the side. I ate them all up. My cousin had enchiladas which was rolled tortilla filled with cheese and served with Mexican rice and refried beans. 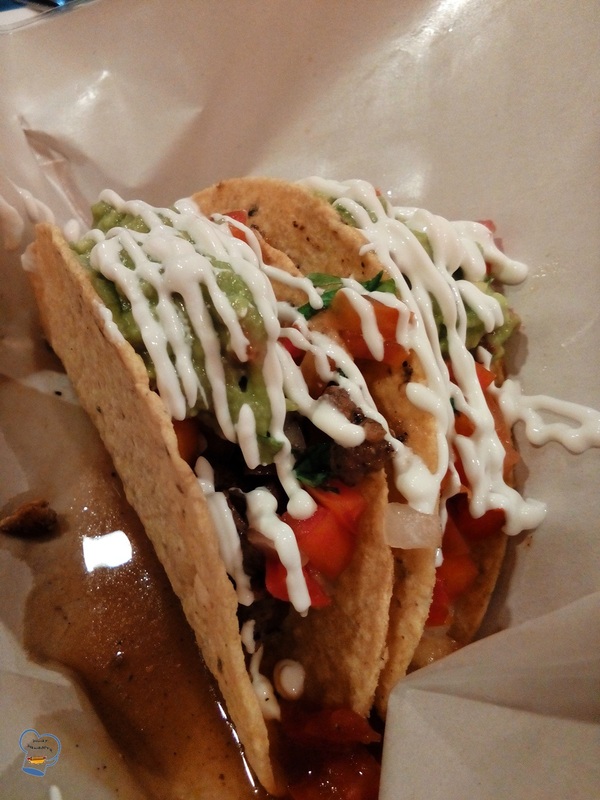 It came with guacamole and tomato salsa on the side. The servings were huge.. I liked the flavor of the rice and the beans were so addictive that I took a few spoonfuls from her plate. I was stuffed with all the food at the end of the evening. It was a very satisfying meal. 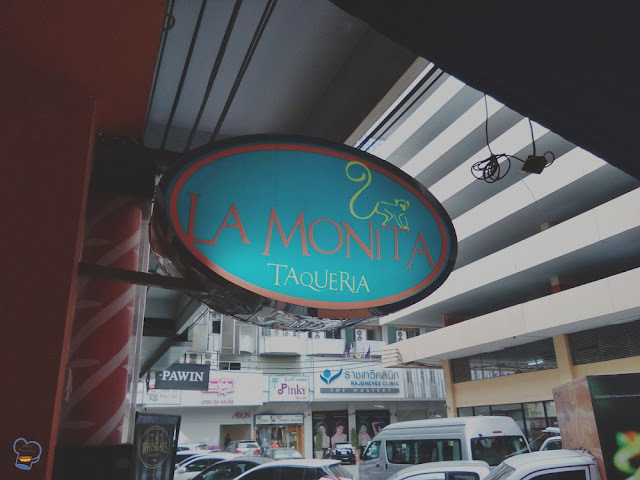 La Monita Taqueria is located at 888/25-26 Ploenchit Road, Lumphini, Pathumwan, Bangkok. The evening has just started but it was packed when we got there.